For a free price offer, call 020 3404 0500 or send us an online request here. We are ready to answer your questions and give you discount information. Excellent Carpet Cleaning is a leading provider of professional hard floor cleaning, sealing, scrubbing, polishing, anti-slip protection service and tile recoat, tile and grout cleaning, restoration of porcelain and ceramic hard floors, vinyl floor cleaning, hard floor sanding service, stone and slate floor sealing and polishing, floor cleaning,, grout colour sealing and recolouring services in Syon TW7. 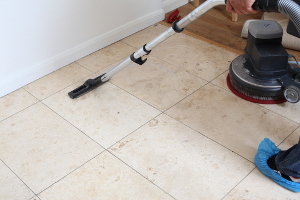 Our jet washing and hard floor cleaning and polishing services are suitable for all private and business residents of the area. We can clean and rejuvenate all types of indoor and outdoor hard floors for you. We employ the latest expert cleaning methods, technology and Prochem certified solutions which are completely safe for you, your pets and for the environment. If you really want your hard floor to look as good as new again, book our qualified hard floor and jet washing service now. Our firm provides professional driveway cleaning, jet washing, patio cleaning and other exterior cleaning of decks, drives and paths. We have highly effective pressure washing equipments, and will help make your outdoor space look rejuvenated. So, if your indoor or outdoor hard floor needs cleaning, make sure you book our hard floor cleaning and jet washing services! We have a client assistance service which will answer your call at 020 3404 0500 or your online booking request within 2 hours. You will get written confirmation for the reservation. No deposit is necessary. You can book for the same day, or pick any other day for the appointment. Our rates are fixed, and we will offer you a big discount if you reserve more than 1 of our services to be delivered together.